For most people, going to work day-after-day is about reaching 65 when they can finally retire and take it easy. But there’s no law that says you have to wait until then. In fact, if you begin preparing for early retirement the right way, you could be enjoying your permanent vacation a lot sooner than you originally thought. Early retirement isn’t a right reserved for only the extremely wealthy. It’s also about more than just increasing the amount you set aside every month (though that doesn’t hurt). 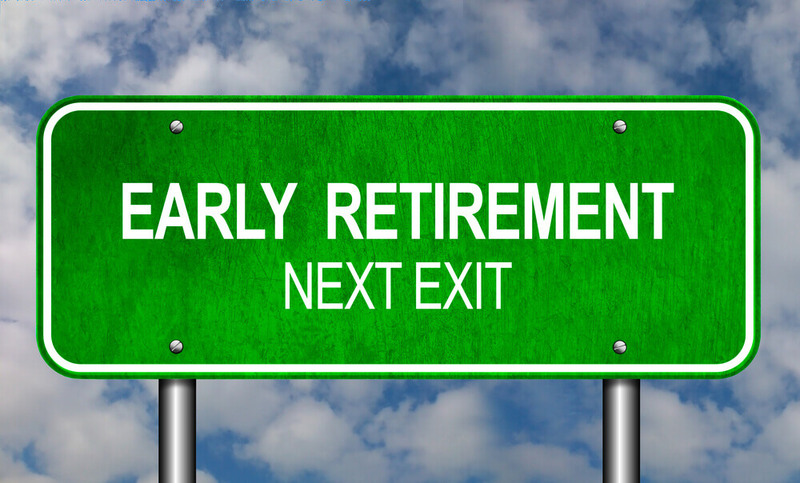 The following three pieces of advice have already been used by countless others to plan for an early retirement. Assuming you’re an empty-nester, consider downsizing your home. That, alone, could add a substantial amount to your savings. However, you can also use some of that money to purchase a rental property. These properties can be great retirement tools, providing you with an ongoing income long after they’ve been paid off. If you buy a multifamily unit – even a duplex – you can also pass your mortgage payment onto the other renter(s). In effect, you get to live without paying rent or a mortgage, which will improve your savings even more. A lot of people imagine a retirement that will entail 40 hours a week at the beach or the golf course. The truth is that, while relaxation and recreation are great, it’s easy to become bored if that’s all you do. One way to retire early and enjoy it more is to think about how you could make money doing what you love after you leave your job. For example, maybe you have a skill to teach. Whether it’s your hobby or a talent you used at work, you could make money during retirement by passing along lessons to others. You could also work as a consultant for local businesses. The job doesn’t have to be related to something you did professionally, either. Spend your days taking people snorkeling, teaching art classes, or simply working at a store you really like. You’ll earn an income that will help your savings go a lot further and will probably find that you enjoy your days a lot more than you otherwise would. You can’t retire earlier than originally planned and keep the same investment strategy you created when you made that plan. In short, you’ll have to take on more risk with your investments. The good news is that the other two tips will help fortify your savings, so you’ll be able to handle added risk without putting your entire retirement in jeopardy. Still sound too good to be true? Do you have individual circumstances that you think would make it impossible to leave your job sooner than planned? At Mooney Lyons, we’ve helped clients from all different backgrounds and with all different goals realize their dreams of retiring before 65. Contact us today and we’ll show you how easy it could be for you to retire early, too.